Rediff.com » Business » Why is Coca-Cola doing this? Why is Coca-Cola doing this? Twenty-five years on, Coca-Cola is involved in a new search. Arnab Dutta reports. Back in 1993, on the day of Dussehra, while the rest of India was celebrating the triumph of good over evil, a small group was sequestered in Agra and in no mood for distraction. That group was putting together the blueprint of Coca-Cola's relaunch in the country after a break of over a decade. The challenge was simpler compared to the context today -- consumer cohorts were less disaggregated, competition was less intense and media less fragmented. Twenty-five years on, Coca-Cola is involved in a new search -- that of a new identity to bolster its presence among consumers in the country. 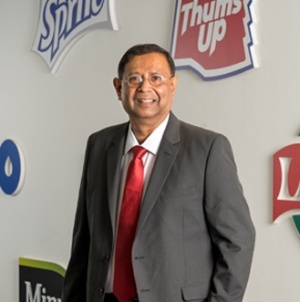 The clues can be found in a conversation T Krishnakumar, president and chief executive officer, Coca-Cola India and South West Asia, had with the media recently. He said a part of Coca-Cola is still like a startup. Essentially, what that means is that the company is looking for new ways to connect with the consumer -- with innovative products and a new language of communication. This time around, the challenge is immense -- it has to appeal to a new consumer cohort, whose expectations from the company are radically different from what it was even five years ago, who interact with brands in new ways and who may not be as easily swayed by advertising promises as they did in a not-so-distant past. The new narrative at the firm revolves around transformation -- rebuilding the company into "an end-to-end beverages player that has the ability to serve consumers at every drinking occasion". And that means Coca-Cola no longer wants to be perceived as a maker of fizzy drinks, but one that satisfies the consumer's thirst. It has already taken the first few steps in that direction. The contribution of sugary, aerated drinks has come down to less than 65 per cent from over 75 per cent a few years ago. While Krishnakumar -- or KK as he is popularly called -- is not ready to say it, analysts believe it would eventually come down to equal its revenue from non-carbonated drinks. 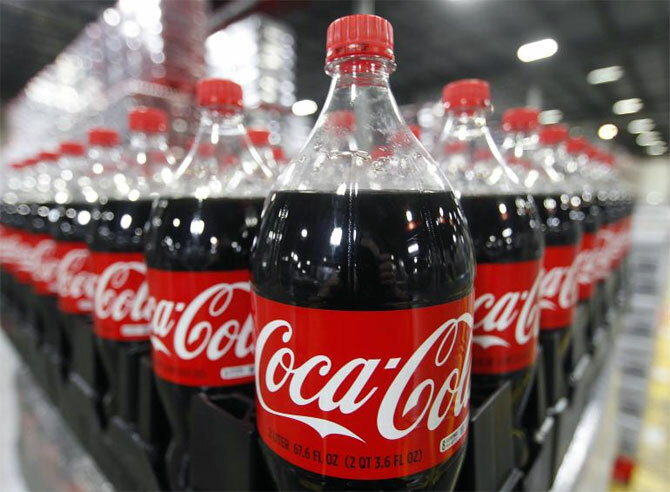 In recent years, Coca-Cola has attempted to widen its offerings by introducing sugar-free Coke (Coke Zero), a milk-based drink brand (Vio) and packaged coconut water (Zico). It has also launched the country's first juice-based carbonated drink. The company recently launched Aquarius Glucocharge, a glucose drink to fight exhaustion and dehydration, and Minute Maid Vitingo, an instant drink mix fortified with vitamins and micro-nutrients. All this doesn't mean it will take its eyes off the money spinners -- Coca Cola on Monday said the company is confident of crossing the milestone of $1 billion for Thums Up and hopes that India will break into its top five global markets in 2019. It has also set a target of making its mango pulp-based non-fizzy drink Maaza a Rs 70 billion brand in the country by 2023. After its failed bid to popularise Vio, Coke is now working on a coco-based milk drink that has been incubated in India and other fusion drinks under the Minute Maid brand. The company is planning to develop some of these brands specifically for the Indian market but hasn't ruled out the option of selling them outside the country, if the company is confident of their success. All this is in line with Coca-Cola's global ambition -- exemplified in a way by its global buy out of Costa Coffee from Whitbread at a huge premium in September. New products apart, Coca-Cola is betting on the rural markets and on increasing in-home consumption of beverages. In all this, it will harness the potential of the digital medium to reach its message to the new consumer. To address falling sales (by volume), the company also introduced smaller pack sizes, both in aluminum cans and in PET bottles, across its portfolio in early 2016. A lot has changed at Coca-Cola since its re-entry after being forced to quit India in 1977. And it's not just about the office building -- in 1992 it operated from a cramped, three-room set in Diners Business Centre in Mumbai, with five employees including its then India president Jaydev Raja. It did not have a manufacturing unit here. And its portfolio was confined to Coca-Cola, Thums Up and Limca. Not long after, as its operations picked up steam, the company moved to the World Trade Centre at Cuff Parade in Mumbai. At present, it is headquartered in the millennial city of Gurugram and boasts of over a several thousand employees spread across India. Today, while Coca-Cola is crowned the largest beverages player in the market, new challenges have popped up. Though it has managed to grow in volume, price inflation and rise in taxation have dented its margins. In fact, its revenues slid in 2017-18 by 4.3 per cent. But KK looks more confident now with a wider portfolio, localised offerings and lower dependence on aerated beverages. As he puts it, he is ready to step into the third phase of Coke's journey in India. Why is South India consuming more cola than North?